While most people consider Marshmello's big reveal as Tiesto or the pyrotechnics breaking on the bassPOD stage as the most memorable moments of this year’s Electric Daisy Carnival, dozens of couples will remember it as the place they got married or renewed their vows. 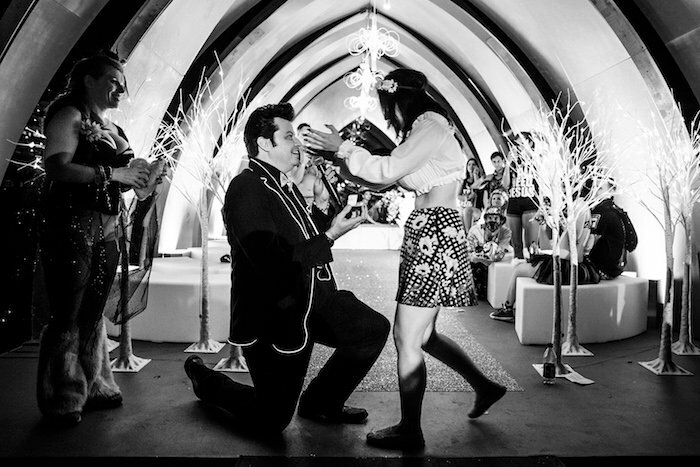 EDC 2016 featured two chapels with officiants running Vegas-style ceremonies with an EDM twist, complete with photographer and a golf cart offering "JUST MARRIED" rides. Couples had to register ahead of time to get married, as well as pay to get a license—a small price for every raver’s dream wedding. The festival also offered commitment and best friend ceremonies at a nearby arch for those that hadn't planned ahead, or just decided to declare their love spur of the moment. Myspace visited the chapels to chat with 7 over the moon couples about their nuptials. Yolanda: Truth? February of this year. Yolanda: Our moms sent us on a little trip to Baker to get some lottery tickets. And we were stuck in the car for 6 hours trying to get those stupid tickets. Jesus: We hit it off!! Yolanda: After those first 6 hours, we knew! It was obvious. Why did you decide to get married at EDC? Yolanda: He’s been coming to events for like 10 years, and I got into it a few years ago. EDC was coming up, and we just thought it was the perfect way to spend it together. Who are each of your favorite DJs? Yolanda: This year I think it’s gotta be Jauz! Are you the kind of couple that needs to go to every show together or can you go to different shows and then meet up later? Jesus: We go together. Tonight, I went to kineticFIELD, and I’ve never gone to kineticFIELD before, but I enjoyed myself. So I say we can do anything together. Yolanda: EDC is always fun, but now it’s even better knowing I always will have someone I can share it with. Heather: In 2004 in his garage. And he had a girlfriend, but his friend introduced us. Jaime: And that’s when I knew she was the one for me...The music stopped when I met her. Heather: In 2005 on March 5. I hate multiples of fives, but we’re still together somehow! What was your first wedding ceremony like? Jaime: Well, this is going to be it! Heather: Yeah, the first one was in some random chapel in San Fernando. Black dress, just the two of us. So we just always wanted to do something else! Jaime: This is something big! This is something we’re going to remember for the rest of our lives! Heather: We are going to be able to tell our grandkids about this. How long have you two been coming to EDC? Heather: Since 2012! Going hard! Who are your favorite DJs? Heather: There are a few. But KASKADE hands down...Above & Beyond, Afrojack. Jaime: Steve Aoki, Benny Benassi. Heather: Oh, and Dada Life! Jaime: Dada Life for sure. Heather: We always rave together. It’s not about stress, it’s about being together! Jaime: Why would you want to go somewhere without your best friend? Jenny: Twelve years ago on a love boat! On a cruise. Why did you guys decide to get married at EDC? Daniel: This is our first EDC so we knew it would make it extra special. Jenny: It was the 20th anniversary so we wanted to experience everything that EDC had to offer. Do you go to a lot of music festivals together? Daniel: We go to most of the Insomniac festivals. Jenny: So far this one definitely. Daniel: This one and [Escape] Psycho Circus. Jenny: Mine is Martin Garrix. Daniel: Martin Garrix. Tiesto. Paul Van Dyk. When and where did you two first meet? Tila: Three years ago at a house party. 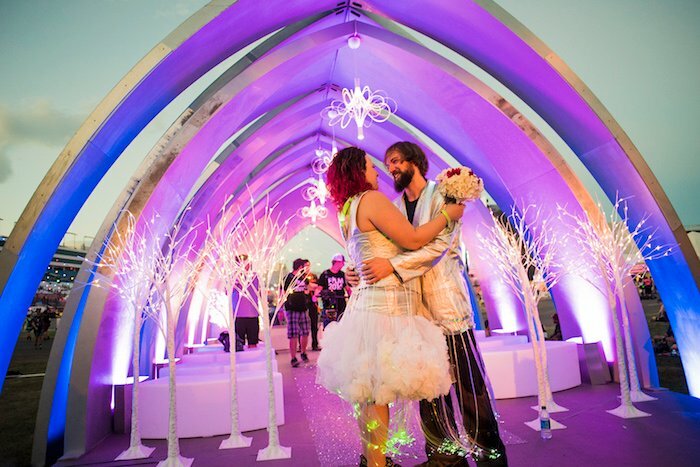 What made you decide to get married at EDC? Tila: It was private and it could be about us. How long have you been going to music festivals? Sean: About a year now. Is this your first time at EDC? Sean: It’s my first time, her second time.  Tila: Probably this one, but Paradiso is fun too. Sean: This is way crazier than Paradiso is. Tila: I don’t know to pick just one DJ, but I was pretty excited about Alison Wonderland. Sean: Same state of mind! It’s crazy but we go everywhere together! Kayla: We met at Love Groove, a rave in San Bernardino. That was 2009. How long have you been going to festivals? Kyle: Yeah, Sevenish I guess. Kyle: EDC or Burning Man. But Burning Man is a little bit more than just that. Kayla: I wanted a no stress event where it was just us being who we are. Just expressing the love in purest form that we can! Kayla: Tycho. Above and Beyond. Jason Bentley. Armin [Van Buuren]. Kyle: Eric Prydz. Solar Storm, he’s not here though. The list goes on and on. Kayla: I really like to be with him. He’s my anchor. When I see him I feel a sense of wellbeing and everything’s okay. Anything that can possibly go wrong he’d take care of it so I’d prefer to be with him. Kyle: That’s exactly it. We’ve been in situations where I’m staying at camp and she’s going to get food, and after a while we need to get back together. I know we can [be apart], but it’s just not the same. Dillon: Three years ago, our friends introduced us. This is our first year at EDC and we decided to get our vows renewed because we’ve been married for a year already. Alexandra: We got married when he was deployed in Korea. So we got paper married, but we never got to say I DO in person. So we finally got to say I DO in person under the electric sky. How long have you guys been going to festivals? Alexandra: This is our first EDC. I’ve been raving for 5 years, and I took him to his first event, Decadence in Arizona, last year. So one year for him. Alexandra: Yeah EDC was awesome! Dillon: Yes! Dada Life Was Awesome. Jessie and Brian were officiating the weddings at EDC all weekend. When they wrapped the final wedding around 3:30am on Monday morning Brian asked Jessie to marry him. She said yes with both her tears and the giant kiss she gave Brian. I interviewed a still shaking and crying Jessie as well as a smiling Brian. Jessie: A few years back I was hired at a chapel that he managed and I became his personal assistant. We left there and officially started dating 15 months ago because at the chapel we weren’t able to date. We started working at the same restaurant for a while, but now we’re doing our own thing. How did you get involved doing weddings at EDC? Brian: I’ve been doing them for a while. This is my fourth year. I’ve been asked back every time and now I have my team that comes with me. How did you decide you were going to ask her to marry you at EDC? Brian: I was just thinking about how I wanted to make it special and I wanted to make it a big deal. And what better place? In front of a hundred thousand people? Do you usually go to music festivals outside of working them? Brian: I don’t usually have the time. But I would love to and I love EDC. I’ve actually had a little bit of breaks this year where I’ve been able to walk around a bit and it’s been amazing. Jessie: Last year was my official first one. But this year we’re going to stay here for a little bit now and actually enjoy it. So it’s going to be great.